A list of classes to be created will now appear. Change class descriptions: When you create classes, each class will be assigned a unique Class Code and Description. By default, the Class Code and Description prefixes will default to the name of the Timetable. 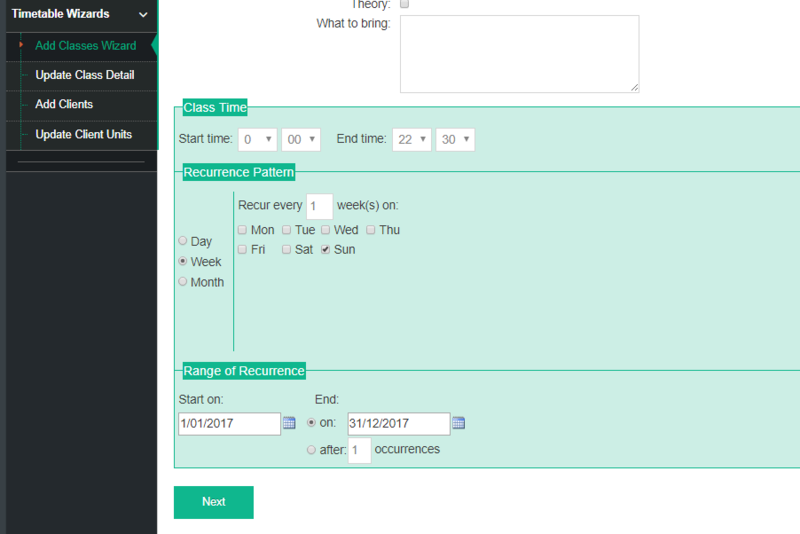 You can change the prefixes for a class reoccurrence by typing your preference into the Class Code Prefix and Class Code Description boxes.